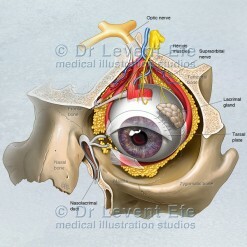 Anatomical artwork depicting the mechanism of the BIonic Eye. 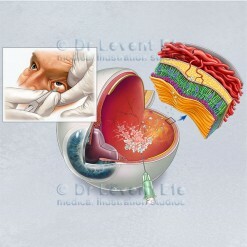 A biomedical chip implanted just under the surface of the retina. SKU: Op03. 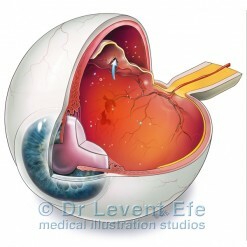 Category: Ophthalmology (OPH). 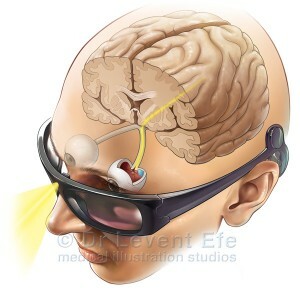 Tags: BionicEye, bionicImplant, corticalBioniceye, degenerativeretinaldisease, eye, eyeball, opthalmic, OpticNerve, retinalImplant, visualAid. Retinal implant-Bionic eye. Computer artwork of a biomedical chip implanted just under the surface of the retina in a human eye.